When to buy mining stone crusher, customers should not only put their eyes on equipment quality, but also pay attention to equipment's operation result. Before purchasing, there is one thing that needs customers to take into consideration in advance, that is, which procedure is the crusher used for, coarse crushing, secondary crushing or fine crushing? Here, Fote Machinery kindly remind that in the beneficiation process of metal minerals, the most common crushing process is the three-section closed circuit crushing process, referred to as coarse crushing, secondary crushing, fine crushing and screening operation. But the two-stage open or closed circuit crushing process is also available in some concentration plants. In the three-section crushing process, the first section is coarse crushing. In this section, the commonly used crushing machine is jaw crusher or gyratory crusher; The second section is secondary crushing and people are more prone to using the standard cone crusher. The third section is fine crushing and generally adopts the short head cone crusher to smash minerals. For those small concentration factories with a small processing capacity, the third section can employ double roller crusher machine. 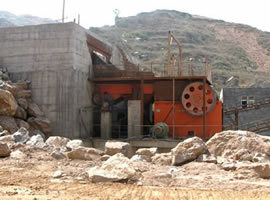 In the two-section closed circuit crushing process, the last section generally uses the medium sized cone crusher. In some small ore dressing plants or when crushing some brittle materials, we can choose impact crusher or hammer crusher. 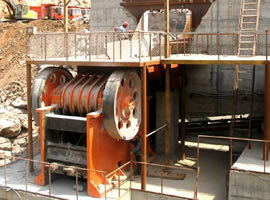 As long as you conform to the several principles above, you can select the most proper crusher equipment. If you want to know more information about our mining equipment, please call us immediately and our professional technical personnel will give you a satisfactory solution to you question. Or you can visit our website and leave a message, we promise our staff will contact with you as soon as possible. Consulting hotline: 0371-69606666. Look forward to your calls!